Few studies have focused on the seasonal variations in rubber tree phenology, and none have quantified the relationship between gross primary production (GPP) and canopy color in rubber plantations. 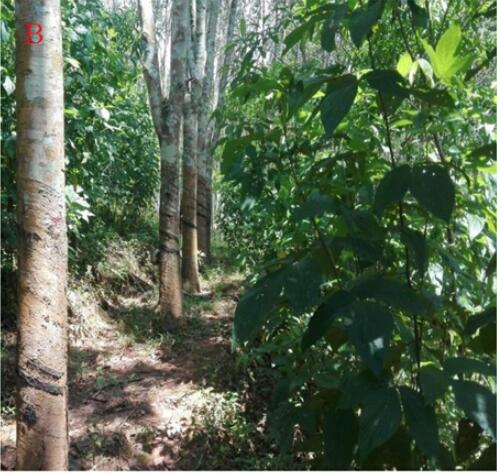 Researchers from Xishuangbanna Tropical Botanical Garden (XTBG) examined the relationship between color indices (the strength of green and Hue) calculated from digital camera images in a rubber plantation in Xishuangbanna. They also measured the gross primary production obtained from daily flux tower observations of carbon dioxide at a daily time step over two years. The color indices were used to model gross primary production. The color indices and measured GPP showed a clear pattern over two years, although the peak GPP presented a lag period compared with the peak point of strength of green. They further found that the strength of green and Hue (a measure of the color hue or red characteristics of a caramel color) were excellent predictors of GPP over two years in the leaf expansion period, but the values were underestimated. They observed a moderate relationship between the normalized difference vegetation index (NDVI) and moderate-resolution imaging spectro-radiometer (MODIS) and the measured GPP over two years. 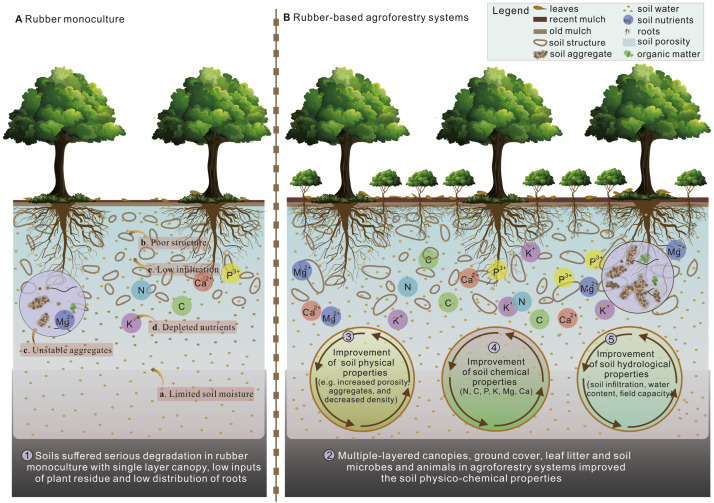 "Our results show that color indices calculated from digital camera images can be used to model GPP in rubber plantations and to monitor biotic and abiotic stress events", said Prof. ZHANG Yiping, principal investigator of the study. 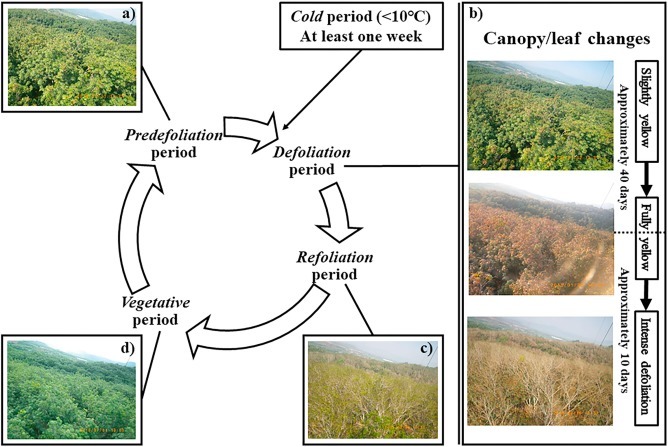 The study entitled "Relationship between gross primary production and canopy color indices from digital camera images in a rubber (Hevea brasiliensis) plantation, Southwest China" has been published in Forest Ecology and Management.